When you check your social media outlets today, think twice about sharing the video of the Baltimore mom-in-yellow-shirt-pulling-her-son away from the protests. Like many Americans online, I saw the video and witnessed how she quickly became a hero for much of white America. As a mother of minority background (but not black) who writes about parenting, I was disillusioned. Why? Because the underlying narrative of the video serves to perpetuate deep-seated stereotypes about blacks and black mothers – at the core of these stereotypes is the idea that black moms are only good moms when they are beating sense into black men. Okay. It’s been said today already. But there is one element that hasn’t been said. 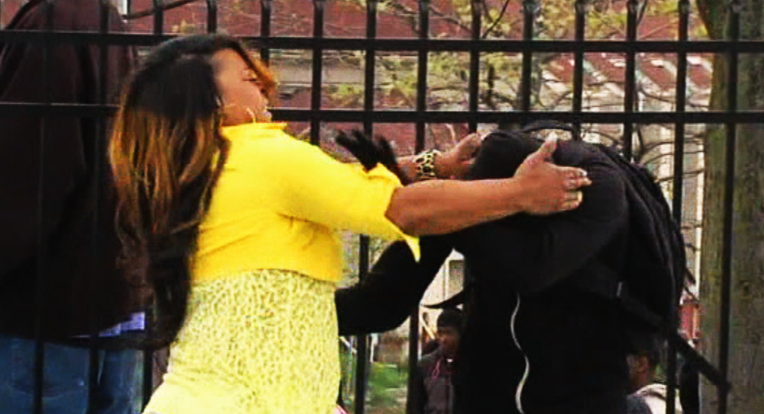 The video shows Toya Graham forcing her son off the street. In a way she is using aggression as a means of preventing violence from happening to her son. She is afraid (which she later admitted to) of the reality that because her son is black, he can become another Freddie Gray. My concern is we are blind to the ways in which our society racializes conceptions of a “good mother” versus a “bad mother.” And these messages are so subtly embedded in to our everyday messaging. Let’s imagine that the mom in the video was white. The video most likely would not have received as much attention, and the mother would hardly be perceived as a hero. Why? Because white moms are always ‘moms of the year’. They know how to parent. Their kids are not going to grow into potential thugs or villains. White moms do their jobs well. Or, so we have been trained to think. Popular culture is very comfortable with the nurturing, huggable, lovable mom. And she is always portrayed as white. A recent Pandora jewelry ad is a case in point. The video portrays a range of mothers, all of whom exude a calm and nurturing disposition as their children, wearing blindfolds, try to figure out which mom is theirs through their various other senses. The moms appear sophisticated and loving, the kind of mom anyone would want. The kids are cute, playful and well-mannered. It’s the kind of tug-at-your-heart strings ad campaign that resonates with people — and 12 million viewers on youtube seems to prove that resonance. Yet, not a single black women appeared in the ad. Not one black mom. One would presume that a good black mom would be better characterized by beating some sense into their kids as opposed to playfully nurturing them. Because black men are scary for a lot of white people, and deep down white people feel more secure if black mom’s are ready and willing to beat their black boys back in line before they do something bad to white people. Research on advertising shows that black women who appear as moms in commercials are almost always performing some kind of housework (recall the famous Pine Sol lady? The woman was black and described as a “heavy set, folksy woman” with a bucket.) The role of the nurturing black mom is nowhere to be seen in our popular culture, because deep down it seems like America doesn’t really want black moms to nurture their kids, they want them to discipline, especially the ones that grow into angry black men. A recent controversy over a Cheerios commercial that portrays a racially mixed family further underscores the point. A sweet loving moment between a mom and daughter is portrayed. A biracial girl speaks lovingly to her mom, her white mom, about cholesterol with a box of Cheerios next to her. In the next scene, her black father wakes up from his nap finding a bunch of cheerios on his shirt, right over his heart. Despite the racist comments that emerged as a result of radical whites condemning the portrayal of a white woman having a child with a black man (the vitriol was so prolific that Cheerios had disabled all comments on any official posting of the commercial), the one aspect that no one talks about is how, once again, the loving, sweet natured, soft toned, nurturing mother in this commercial was white. In light of all these subtle messages, the canonization of Toya Graham probably says a lot more about white America than it does about the parenting of black America. I am not saying that what she did was wrong, what I am saying is the narrative forming around her motherhood is driven less by the reality of black mothers struggles than it is by the fear of white people over angry black men, and the over romanticization of the white mom. The clear underlying assumption by sharing this video is that the mom in the yellow shirt is the exception to the long-standing stereotype that black moms are not good moms, ever absent in the upbringing of their children. Even the Baltimore Police Commissioner Anthony Watts had publicly wished that other moms would do the same in Baltimore as this “mom of the year” did. Our commercial space in news, media and advertising has long made it racial and this video only adds to that. When moments like this one are captured on video, where one mother is just being a parent, who is worried for her son’s wellbeing, it fascinates the public to the nth degree. Sharing this video, and the narrative around it, oversimplifies the complex and deep feelings of disempowerment and disenfranchisement, let alone fear of police brutality inherent within the youth on the ground in Baltimore. The message it sends is that a good black mom is like a drill sergeant, ready to crack a whip to allay the fears of white America. Never the nurturing. Motherhood is a deeply universal, nurturing, caring reality for every and anyone who has a child. This incident has robbed black women of that space, and has reduced the role of the black mother to one of a prison guard, if even present at all. The fear of the black man has made the black mom white america’s last hope. 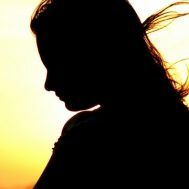 NT is a consultant and works in the field of human behavior.